Cosmological conceptions around the world have similar paradigms about the creation of the manifested universe. They postulate creation as a series of emanations of energy, principally light energy, in various gradations or levels of manifestation. On the other hand, standard scientific paradigms postulate light as having wave and particle properties, both linear and nonlinear. These two metaphysical frameworks are used as backgrounds to examine the nature of the soul, and the possibilities of various soul curriculum systems. In the light of these findings, an argument is made for the case of nonlinear reincarnation as an alternative and deeper way of understanding the evolution of the soul. And the One did create the Wandering Orb, slicing a fragment of Its Fundamental Quintessence. And the Wandering Orb prepared to sail into the Darkness of Primordial Night. But the Oneness did enable the Wandering Orb to have a final gift before its maiden voyage. The Oneness cut a portion of Its Infinite Arm and out gushed a Chalice full of its Quintessence. The Blood then merged into the Heart of the Wandering Orb, which began to pulsate with the rhythm of Infinite Grace. Then the Wandering Orb began to voyage within the Labyrinth of Infinite Darkness. And the Oneness receded from its Perception. The Heart of the Wandering Orb, filled with the Quintessence of Oneness began to know Power. The Power of Life. The Power of Death. The Power of Creation. The Power of Destruction. But the Wandering Orb, travelling the Ecstasy of Night, also began to experience a rare kind of power, the Power of Ignorance. For, travelling further and further from the Oneness, it began to forget the Oneness itself. It thought that it was Alone. It then knew it was Alone. It realized it was Alone. It experienced that it was Alone. It wished that it was not Alone. And thus, in its Heart, began the wish to search for something, someone. To banish the feeling of Aloneness. Thus, began the perilous search for the Other, in the Bosom of Infinite Night! While the Wandering Orb was traveling within the Bosom of Infinite Night, several things have been happening to it/her. The first event was that the Elements of Being have been gathering strength within her and have been yearning for release. Even without a mate, the Wandering Orb is pregnant. Fire has been conceived within her, within the Wandering Orb. Air has been conceived within her, within the Wandering Orb. Water has been conceived within her, within the Wandering Orb. Earth has been conceived within her, within the Wandering Orb. But a final Element is not yet born. The final element is not yet born. And these Elements of Being yearn for release, birth and expression. Such is the power of the Wandering Orb, a legacy of its nativity. For the Wandering Orb is a vessel of Power, filled with Imajica Potentia, derived from the One. But, the second event that is gaining strength within it is the Power of Ignorance. As the Wandering Orb sails deeper and deeper into the bosom of Eternal Night, its parameters of Ignorance has been increasing. The Wandering Orb is beginning to forget that it has a beginning. The Wandering Orb has forgotten that it was created by something else. The Wandering Orb, filled with ignorance, has started to contemplate that it is the beginning. The beginning of all creation. The Wandering Orb has become deluded, a delusion inspired by the spark of ignorance. The Wandering Orb is starting to get lost. Filled with Imajica Potentia, the Elements coalesce and are gifted with definition. The Elements are being born. Fire mixes with itself and then is born. This is the first Heptarchy, the first level of Being. Fire interacts with Air, this interaction is then born as a separate force. This is the second Heptarchy, the second level of Being. Air mixes with itself and then is born. This is the third Heptarchy, the third level of Being. Air interacts with Water, this interaction is then born as a separate force. This is the fourth Heptarchy, the fourth level of Being. Water mixes with itself, and then is born. This is the fifth Heptarchy, the fifth level of Being. Water interacts with Earth, this interaction is then born as a separate force. This is the sixth Heptarchy, the sixth level of Being. Earth mixes with itself and then is born. This is the seventh and last Heptarchy, the seventh level of Being. The Seven Elements are born. Born, from the plethora that is the Wandering Orb. And so the Universe comes into Being. The Universe shall call the Wandering Orb its Mother. And now the Wandering Orb is able to express itself. The Orb is able to express itself into the planes of manifestation. How does the Orb express itself? It takes the manifold structure of the Heptarchy and produces an Emanation. The Cosmos is a Oneness. This Oneness has a tendency to enter into dreamworlds within itself. To manifest essences, punctuations and existential realms within the Infinity of its array. To do that, it emanates singularities, polarities, trinities, quaternities and multiplicities. But the balance of the Oneness never wavers, never strays from the harmony of its spheres. It never strays from the central ground of absolute symmetry. The purpose of this mystic treatise is to explicate the trinity of soul curriculum systems, their similarities and differences, and their relationships to soul evolution and ascension. A further goal of this treatise is to highlight the nonlinear reincarnation model as a deeper and more encompassing way of understanding the development and evolution of consciousness. In order to understand the soul, its nativity as light and its culmination in heaven or paradise, we need to understand its origin or source. The Kabbalah, the sum total of Jewish Mysticism, has a very beautiful explanation of the origin of the soul. The conceptual framework for the origin of the soul can be traced to the theoretical paradigms of the Kabbalistic Tree of Life, and its various emanations. According to Jewish mysticism, Divine Providence manifests itself into the phenomenal Cosmos by the presence and development of various emanations, now called sephiroth. In the beginning, there is a nameless Void, which is nevertheless filled with potency. This is called the Ein Sof. This void then manifests itself in the phenomenal Cosmos as a manifested singularity, which the Kabbalistic masters term the Kether. Kether bifurcates into two, Chokmah and Binah, which further evolves into the other sephiroth. In the most comprehensive terms, this implies that the singularity develops into a polarity, which then develops further into a trinity, which later again develops into a quaternity. Taken as a whole, this beautiful mystic paradigm describes the continuous creation and transmutation of various forms of energy in the manifested universe. It is interesting to note that this fundamental template for the Progeny of Light has echoes and similarities in at least three disciplines or systems of thought. The ancient Greek philosopher Pythagoras has echoed this theme in his time, with his theory of Reality as number, as symbolized in the classical tetraktys. In this mystic paradigm, number is seen as symbolizing the potency and power of energy and its permutations. In the Pythagorean paradigm, 1 evolves into 2, which evolves into 3, which evolves into 4. From this, the celebrated mystic templates in the various esoteric arts of wisdom have emerged: Fire, Air, Water and Earth. The four sacred elements. This is just a highly symbolic way of explaining the emanation, propagation, and evolution of Energy into Mind, and then later into the plethora of forms in the manifested universe. In Eastern philosophy, echoes of this paradigm or framework also exists in the mystical stream of Taoism. Ancient Taoism has taught and maintained that in the beginning, there was the Tao, or the Way. This Tao later develops and evolves into the “ten thousand things.” This metaphysical and ontological position is actually very similar to the Kabbalistic and Pythagorean mystic paradigms and echoes similar concepts, assumptions and sentiments. In the medieval Renaiisance, this template also underwent a massive artistic elaboration in the beautiful images and archetypes of the Tarot, a symbolic language of exceptional power. The basic tenet of reincarnation as soul pilgrimage in its ultimate manifestation has been a concept that has been explored by a variety of spiritual masters and mystical thinkers throughout world history, most notably by Lord Plotinus himself (Clark, 2016). One of the greatest mystics of all time, Lord Plotinus discoursed about the verities of the soul world, and his spiritual, mystical and metaphysical teachings have been immortalized by his eminent disciple, Porphyry. In the spiritual and metaphysical architecture of Lord Plotinus, there are various emanations of being from the bosom of the Oneness, and these emanations give rise to various realms of being. This position is actually very similar to the theoretical position of some quantum physicists. The essence of Spirit encases itself in various case sheaths, or vehicles of exploration in order to make contact with the sensual apparatus of the realm it is exploring. On the other side of the fence, the beings currently navigating that particular realm or dimension are also possessed of certain distinct sensual and perceptual systems which help them navigate and understand the parameters of the realm they are currently exploring. Thus, we can visualize the soul curriculum as a set of goals and objectives laid down by the Higher Self for the fractal souls to accomplish. The Higher Self has made a massive sacrifice indeed by attempting a very, very challenging task. But, by doing this the Higher Self shall in turn reap the benefits of such an existential exercise, in the form of the acquisition of a new set of experiences from its travels in the planes of matter. The nature of the soul curriculum is directly entwined with the principle of reincarnation. This is because reincarnation is the actual methodology that the Higher Self uses to teach its fractal souls. As in science, we can also say that in spirituality that experience is also the best teacher. The reincarnating being shall directly experience and absorb a plethora of experiences which can only enrich and enhance its essence. Within the paths of reincarnation, transcendence and immanence have a unique conversation. However, this author belongs to a select group of mystical writers and thinkers who have discovered and are advocating the contemplation of a radical form of reincarnation. This is the concept of Nonlinear Reincarnation (Rimban, 2017). Seminal ideas of this unique form of reincarnation have been offered in various writings, most recently Nonlinear Thought in Metaphysics, Psychology and Education (Rimban, Journal of Metaphysics and Connected Consciousness, July 2017). The idea for this form of reincarnation can be visualized by looking at a painting. We look at a painting in a nonlinear way or holistic way. We do not look at it in a sequential way. In Nonlinear Reincarnation, the Higher Self, situated in the higher dimensions, pre-selects a set of lives, to be explored by its fractal souls. The Higher Self, immortal, hyper-intelligent and totally secure in its foundation in the higher realms, can look at its set of lives holistically, guiding them with art, elegance, wisdom, compassion and an intelligence that is beyond the understanding of beings in the physical realm. Dr. Eben Alexander, one of the foremost neurosurgeons in the world, who was able to journey into the higher realms while being comatose for days, gives a startling revelation of the power of nonlinear dynamics in his book, Proof of Heaven (Alexander, 2012). This book is highly recommended as an initial starting point for those who want greater understanding of the power of higher dimensions and alternate realities. We can say that there are two ways of apprehending Ultimate Reality. One is the sequential mind pattern and methodology and the other is the nonlinear mind pattern and methodology. The predictive powers of the sequential mind, in its own context, are awesome, for it seeks to create, cultivate and propagate alphabets of understanding, which it uses to navigate from the known to the unknown. These alphabets are all the languages, from the linguistic forms to the mathematical worlds, to the computer languages and thence into all the symbolic forms. These languages are powerful in their own right, for they give rise to a certain kind of internal logic that arises out of their syntax and coding. Like a game of chess or the set of equations in geometry, these languages persist for they can define protocols in their own worldspheres. Remember that all forms are fractals of the Cosmos, and therefore partake of its power. In this sense, sequential constructs have an abundance of order. Why? Because that is the part of the Cosmos that they express. The problem, however, occurs when the sequential mind attempts to translate these languages and interpret the Cosmos as a whole. Here the map fails. And it fails miserably! The Cosmos is too awesome to be interpreted by any kind of mental map, however profound that map is. A map is still a map. Thus, there are limits to what a map can understand. On the other hand, the nonlinear processing aspect of Ultimate Reality apprehends multidimensional realms simultaneously. It is like looking at an art form, or listening to a piece of music, or watching a dance performance. The whole is assimilated completely, not part by part like the one in sequential thought. The learning style is holistic, and the learner assimilates a large amount of data. In the same way, by configuring his fractal souls as nonlinear processors, the Higher Self is able to assimilate a very large amount of data. He assimilates a large amount of data simultaneously, all coming from the many lives that he has, which are happening all at once! This is an awesome discovery and could revolutionize world thought. Nonlinear reincarnation can also explain the fact that most humans do not have memories of past lives. This is because human souls reincarnating in the nonlinear manner do not have past lives. 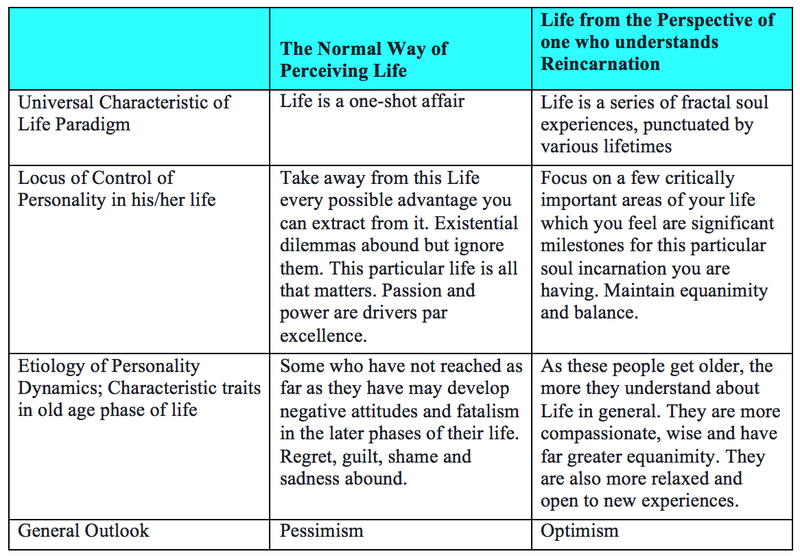 What they have are parallel or nonlinear lives! The experiences of the fractal souls of a being undergoing nonlinear reincarnation yield an incredible amount of data, processed at an astoundingly prodigious rate. The Higher Self with nonlinear fractal lives is a learner par excellence. Thus, this author would like to encourage esoteric, spiritual, mystical and metaphysical seekers of all kinds to discover, research, study and learn more about the possibilities and permutations of nonlinear reincarnation. It is an idea whose time has come. It may bring to light many of the darker aspects of consciousness that humanity has failed to process since the dawn of time. It may bring to light many of our universal questions and provide definitive answers to many of our hypothetical dilemmas. Higher Self, beloved of my soul. I love you with my whole being. I thank you for the life you have given me. Teach me to reach out to you, as you reach out to me. Teach me to commune with you, as you commune with me. Teach me to journey in life with you, as you have journeyed since the origin of the Cosmos. Presently, in my soul location, there is a dilemma in the Conversation between Order and Chaos. Teach me to examine this dilemma and bring forth the solution. With everlasting love, now and always. Alexander, Eben. (2012). Proof of Heaven. A Neurosurgeon’s Journey into the Afterlife. New York: Simon & Shuster Paperbacks. Clark, Stephen R. L. (2016). Plotinus: Myth, Metaphor and Philosophical Practice. University of Chicago Press. Greene, Liz & Sharman-Burke. (2000). The Mythic Journey. The Meaning of Myth as a Guide for Life. New York: Simon & Schuster. Rimban, Erwin L. (2017). 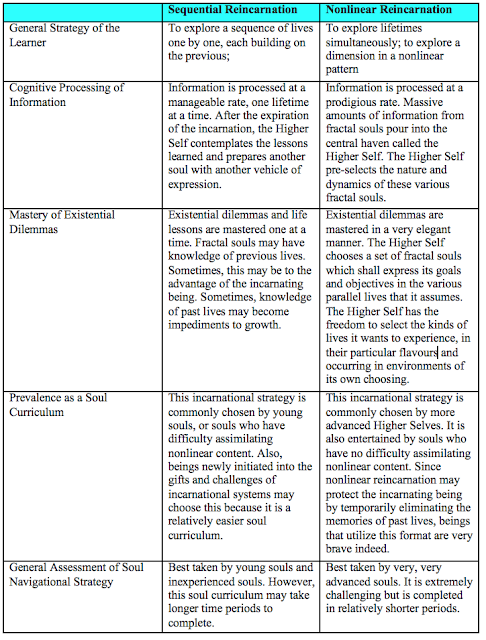 Nonlinear Thought in Metaphysics, Psychology and Education. 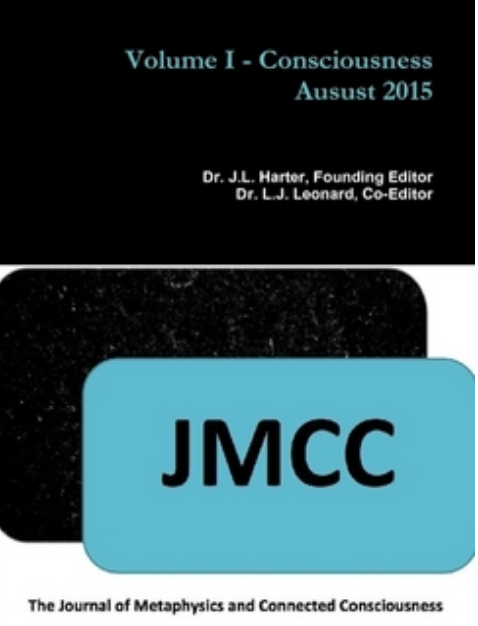 Journal of Metaphysics and Connected Consciousness. July 2017. (http://journalofmcc.blogspot.com/2017/07/nonlinear-thought-in-metaphysics.html). 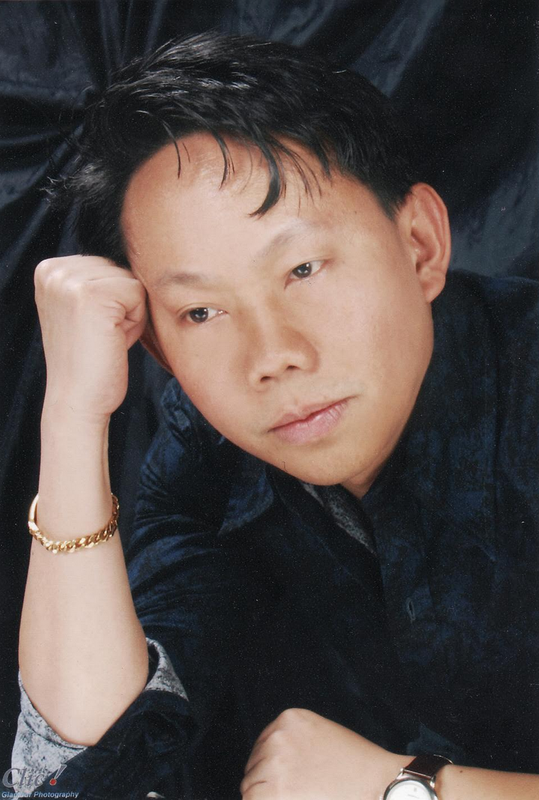 Rimban, Erwin L. (2017). Deconstructing the Psychology of Reincarnation. 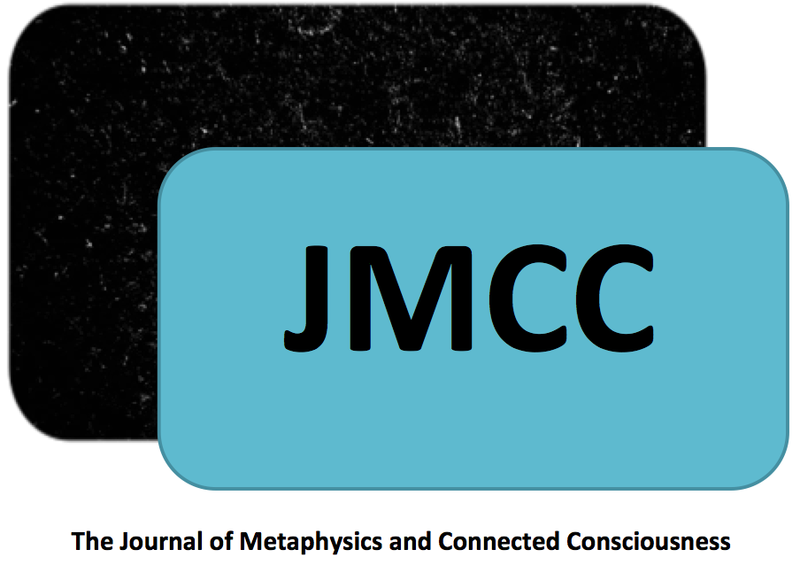 Journal of Metaphysics and Connected Consciousness. September 2017.